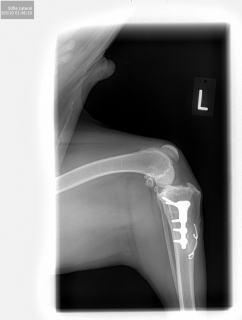 This form of x-ray imaging is another tool we use for diagnosing problems in our patients. 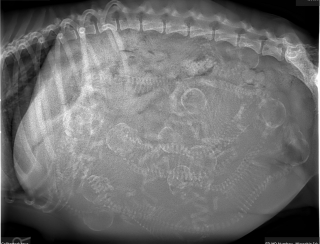 In our small animal routine radiographic suite, images of bone and soft tissue are now taken using digital sensors as opposed to the traditional photographic method. The advantages of the digital format include the ability to manipulate the images on a computer, magnify lesions and enhance certain areas in order to better visualize the problem. The digital method also allows us to easily share the images electronically with colleagues and clients.